Today, August 28th, will continue to be remembered as the day Martin Luther King Jr. gave one of the most important speeches in the history of the United States. More in the "Ground Zero Mosque"
Yesterday, during Meeting for Worship (the term we Quakers use for church), a friend displayed a picture he had taken recently of a monument at the Manzanar National Historic Site in California. 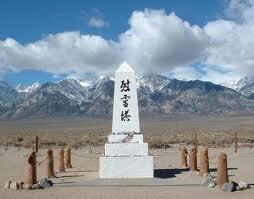 A remote and somewhat desolate place, Manzanar was one of several locations used during World War II to imprison American citizens of Japanese descent. 110,000 Japanese-Americans were forcibly removed from their homes and placed in such "internment camps." Typically, monuments serve to remind us of the heights to which we as a people can reach. This monument serves as a reminder of the depths to which we as a people can sink. We look back now at how we treated Japanese-Americans and we recognize that it was wrong. In the passion of war fever after Pearl Harbor we, as a nation, committed an injustice. Likewise, in the late 1940's, another injustice was committed when, in the throes of Cold-War hysteria, the House Committee on Un-American Activities caused the blacklisting of over 300 actors, directors, screenwriters and other artists suspected of having Communist sympathies--in some cases bringing about their personal and financial ruin. We look back now and see that what was done by the Committee was wrong. Today, there is a danger of a similar injustice being perpetrated. Some Americans are trying to prevent others from freely exercising their religion. The reason is that the religion in question is Islam and the location in question is Lower Manhattan, a couple of blocks from the former site of the World Trade Center. If it were a Christian church or a Jewish Synagogue...no problem. If it were a Buddhist or Hindu or Sikh temple...fine. But since it is a Muslim community center (which includes a mosque) many Americans are vigorously trying to block it. Those seeking to prevent Cordoba House (the Islamic center) from being built do not seem to realize that what they are asking for is the suspension of the First Amendment of the U.S. Constitution. That would be a thoroughly un-American thing to do. In all three of the examples of injustice listed above, the root cause is fear. Fear of the "other." And the more "otherly" the other, the more they are feared. We imprisoned Japanese-Americans on a massive scale, but not German-Americans. Why? Because German-Americans looked like us ("us" meaning, those who were in power at the time). Japanese-Americans looked different. They had different sounding names. They came from a very different culture. They were easy to single out. Likewise, Communists were portrayed as evil, inhuman "others." And now, in the wake of 9/11, it is Muslims who are vilified and feared as the "other." Politicians and pundits have always been quick to capitalize on such fear. History has shown that people will willingly surrender their rights in exchange for security. But first people must be given something to fear. There is always a suitable "other" to serve that purpose. "I am always facinated that "christians" ... for being a group with a "commion beleif" are so often not on the same page, or even the same book. So which interpretation, understaning, belief is THE TRUTH?" Maybe we should get a little creative and come at this from a different angle - truth. The dictionary says: that which is true or in accordance with fact or reality. Everyone is uniquely wired to perceive life around them. Some are more ...daring, such as the explorers, risk takers, etc., some are more intellectual, scientists, mathematicians, etc., some are more creatively endowed, artists, muscians, etc., I think God made everybody different because it delighted him to do so. And so everyone will approach truths and interpret them according to the way they were designed to process their findings or experience. I think there are infinite ways to arrive at or discover a truth. And I know he loves revealing truths in various and creative ways. And it’s interesting if we decide to go seeking after a particular truth, that we usually have to do some digging to discover just how deep the rabbit hole goes. There seems to be an infinite number of truths jammed with new facts waiting to be discovered. I don’t believe that Christians have the market cornered on truth. There’s just too many out there. I also think that God is in the midst of each truth that is discovered. I believe God gets pretty excited when a Physicist discovers a new mathematical formula that enables him to know how something works. That new formula set that physicist free to do more of what he was wired to do. 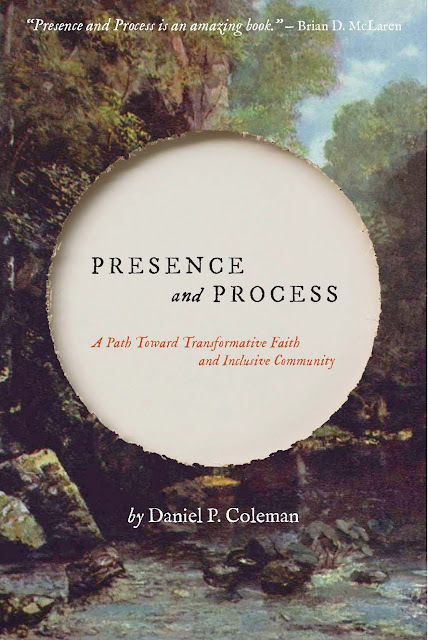 People like Danny, which I think are wired intellectually, love to dig deeply into textbooks, compare theologies and translations to arrive as close as they can to the clearest picture of God in this world. People, like myself, arrive at discovering God by developing a relationship with Jesus. My truth is my experience, which is difficult to put down in words. Generally artists are reflective and intuitive. I wouldn’t do well as a scientist, but the way I’m wired, e.g. being quiet, slow to speak and reflective, allows me to see and witness God in everyone everywhere I go. I have arrived at the truth of God from a different perspective. I don’t think the truth is revealed in the midst of labels, such as saved and unsaved which creates the tension of “us versus them”. I think many Christians are too black and white to see a truth in front of their nose, to the point where they can’t see that God is actively involved with everyone. So I think you can arrive at “truth” about God using several sources, personal experience, etc. If you really want to know him, you definitely will discover him to the depth that you are willing to go. He really wants to be discovered, and understood. Concerning the truth about God, depends on just how far an individual will go to understand someone. Sometimes I think it depends on how well we do with intimacy. Sometimes I think it depends on how many facts we are able to hold and assimilate to begin to grasp the complexities of God. Maybe it’s both combined. No one has the complete picture. Wouldn’t it be something if we could just sit down together, put our differences and pettiness aside, and compare and assemble as much information as we can about God to see just how far we’ve come in understanding him. Then perhaps we could just relax and enjoy the journey. Something I've been pondering... If Jesus, Muhammed, Moses, Buddha, Zoroaster and the founder(s) of Hinduism all sat down together for a meal, would they get along? I tend to think they would. Sixty five years ago today the United States detonated an atomic bomb over the mostly civilian population of the city of Hiroshima. According to Wikipedia "70,000–80,000 people, or some 30% of the population of Hiroshima were killed immediately, and another 70,000 injured. Over 90% of the doctors and 93% of the nurses in Hiroshima were killed or injured—-most had been in the downtown area which received the greatest damage." Because it took several months for some victims to die of their injuries, the ultimate death toll is estimated to have been as high as 200,000. 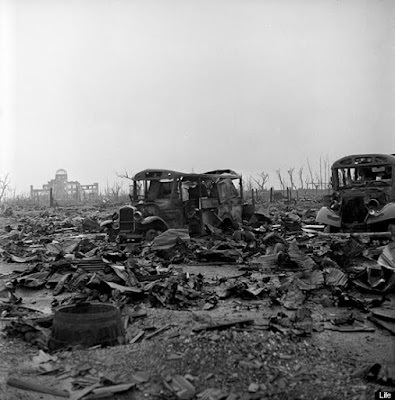 The vast majority of those killed by the bomb were civilians. That means women, children, the elderly and non-combatant men. This ought to be a national day of mourning. 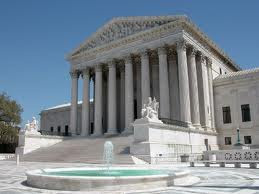 As of today we have three women on the U.S. Supreme Court, the highest court in the land. Yet many churches still forbid women to teach or pastor. What's that all about?